Report On Business Beyond credit cards: Will you be paying for that with your nails? Will you be paying for that with your nails? While aspiring Olympians the world over travelled to Rio de Janeiro earlier this month with their sights set on jewellery of the gold, silver and bronze variety, for Visa, an official Olympic sponsor, the opportunity was ripe to showcase a different kind of personal ornament. How Canadians interact with money - both physical and digital - is changing as financial technology evolves. Read more from the series here. 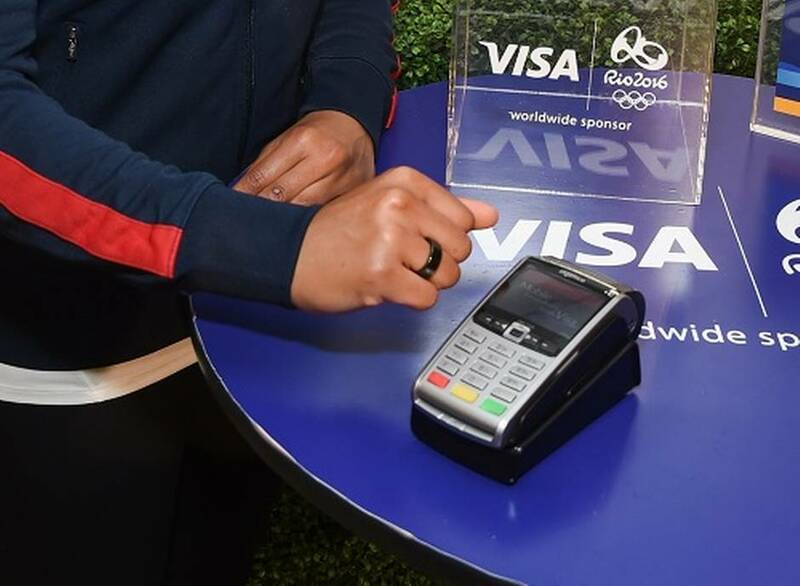 Every Olympic venue selling food and beverages was enabled with contactless terminals, allowing athletes, tourists and officials to pay with a variety of rings and bracelets. While smartphones have provided an alternative to traditional wallets for a while – from Apple Pay to apps such as Starbucks's – there are times, such as going out for a morning run, when being tethered to an unwieldy device isn't always the best option. As a result, the opportunity to equip wearables, from watches, to fitness trackers and jewellery, with the capability to purchase has never been greater. Visa Inc. developed wearable payment options for consumers at the recent Olympics in Brazil. "The wearable space alone we believe is something in the neighbourhood of $170-billion to $1.5-trillion of potential spend that you could do across that category alone," says Jim McCarthy, Visa Inc.'s global head of innovation and strategic partnerships. "So our job and what we're working on with the banks, a number of them in Canada, is effectively thinking about how to get their payment credentials into all these different devices." The continued rise of the Internet of Things, which could have as many as 20 to 50 billion devices connected to the Web in the next five to 10 years, has resonated with companies such as Visa, which envisions a time when almost anything could be used for payment. "The Visa credential that your bank issued to you can work in all of these and the experiences are effectively similar to what you're already doing with tap and go, it's just a different device," Mr. McCarthy says. He predicts there will still be a decent shelf life on plastic card forms of payment, but thinks it might become less relevant, with perhaps its main function being more for authentication alongside one-time passwords. The options in the wearable payment space are seemingly boundless. Jason Davies, head of digital payments and labs for MasterCard Canada, says it could feature on something as innocuous as a pair of gloves, and while that might not excite people living in California, for someone living in Thunder Bay, it could be a life saver in winter. "[Imagine] it's February and you're buying gas: Having payment credentials in your gloves and being able to tap your glove against an automatic fuel dispenser, pay for your gas and never have to take off your gloves, that's actually a great experience of payment," he says. The idea of payment wearables also throws up the possibility of some interesting crossovers and partnerships with consumer goods manufacturers. Barclaycard, the first credit card introduced into Britain, recently teamed with fashion retailer TopShop to produce a number of wearables, such as wristbands and keychains, to permit purchases less than about $50. MasterCard teamed with fashion designer Adam Selman last year to produce a dress, earrings and even sunglasses with contactless payment capabilities. It's that kind of partnership that sets the imagination on fire in this sector. "I think where we're starting to see interest is from people we never thought we would work with: fashion designers, those types," Mr. Davies says. Designers see the extra value their products may derive from adding payment options in, which may increase their daily usefulness, including potentially increased consumer loyalty, he says. London, England, jewellery design student Lucie Davis took her designs an extra step for her final show. She developed acrylic nails with an embedded chip that allowed her access through the barrier on the London subway system, in place of the usual Oyster card that is used. Jewellery designer Lucie Davis embedded a chip from the Oyster card into one of a set of acrylic nails, which allows passengers access to the London subway system. While it simplifies her daily commute, it wasn't until a friend of hers pointed out the advantages that she understood the potential for her creation. "Her mum has Parkinson's [disease] and she finds it such a struggle to get her Oyster card [out of her bag]," Ms. Davis says. 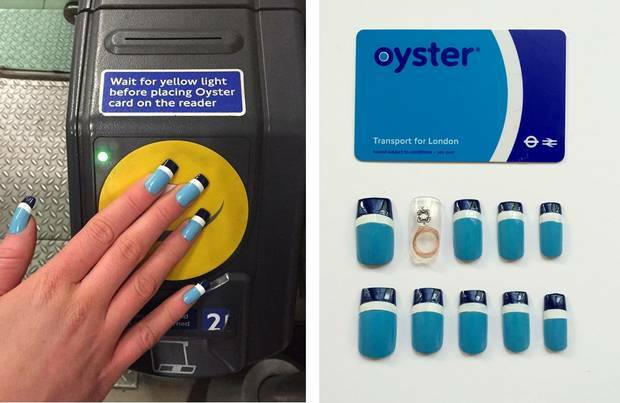 "She thought the Oyster card nails would make [travelling] a bit more accessible." Easy access was one of the factors British company ID&C Ltd. considered when it started to get into radio frequency identification (RFID) wristbands. In 2011, it partnered with Coachella, one of the United States's largest and most popular music festivals, to provide wristband access, and subsequently provided the same services for other big U.S. festivals such as Lollapalooza and Bonnaroo. While the technology enabled easier access to the event – no more fumbling around for tickets – it also had a side benefit in cutting back on scalping – wristbands are registered to the purchaser and must be activated online before attending the festivals. "It did that virtually overnight, with three or four of the festivals taking it that first year," says Steve Daly, the head of RFID technology at ID&C Ltd.
On top of controlling access, the wristbands can also be enabled with cashless vending, to allow for purchases such as souvenirs, food and beverages at the festivals. "I think everything points towards it being widely adopted more and more," Mr. Daly says. Rewards programs: Will they go the Air Miles expiry route? Experts see dramatic changes coming to credit-card and other loyalty programs in the next 10-15 years. 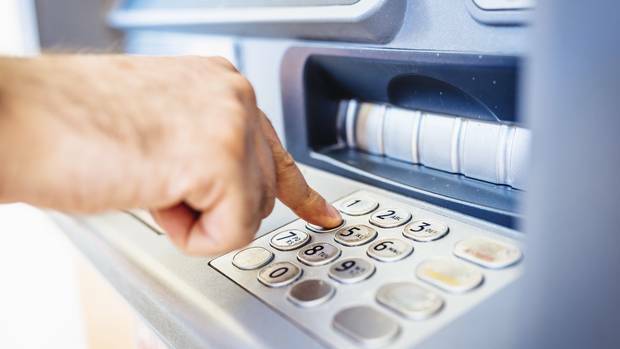 Will cashless pay kill the ATM? The bank machine industry sees a future for ATMs that includes dispensing tickets and communicating with mobile devices. How would you pay for necessities in the event of a massive blackout? While we can hope such a scenario does not play out, experts say a huge blackout, such as the one in the Northeast of North America in 2003, has a likelihood of happening every 25 years.